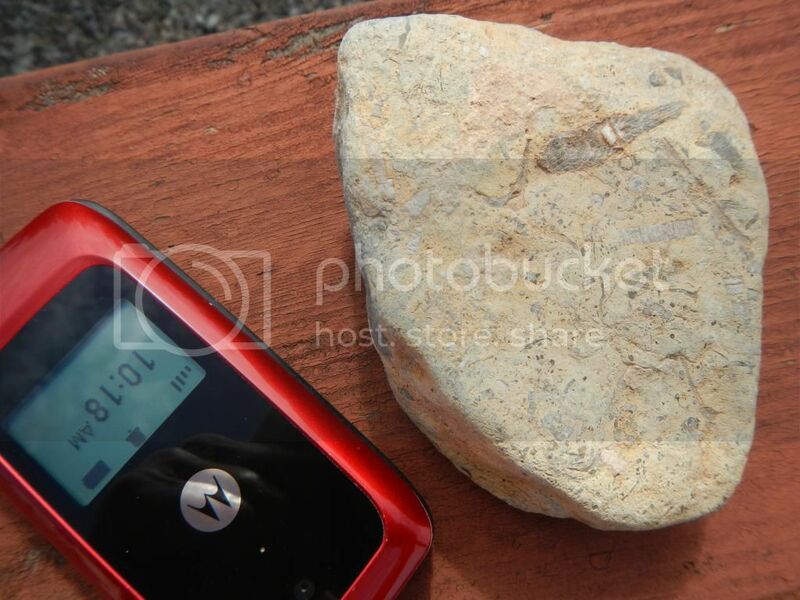 The rock below is highly crystalized - seems like quartzite and some quartz crystals. It is around 20 pounds. Most of it appears to be crystalline structured. 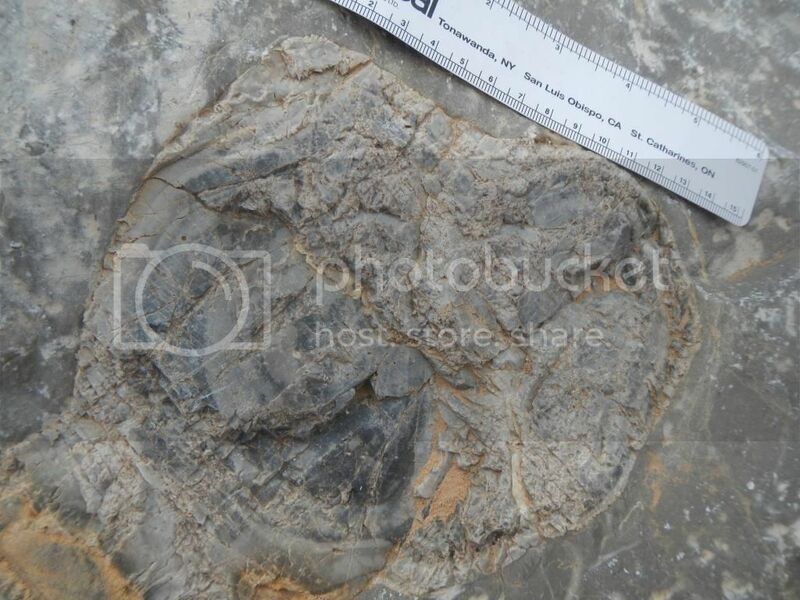 Yet, in the upper left-hand corner in the first photo, and lower left-hand corner in the next photos - I may be seeing a fossil. What do you think? 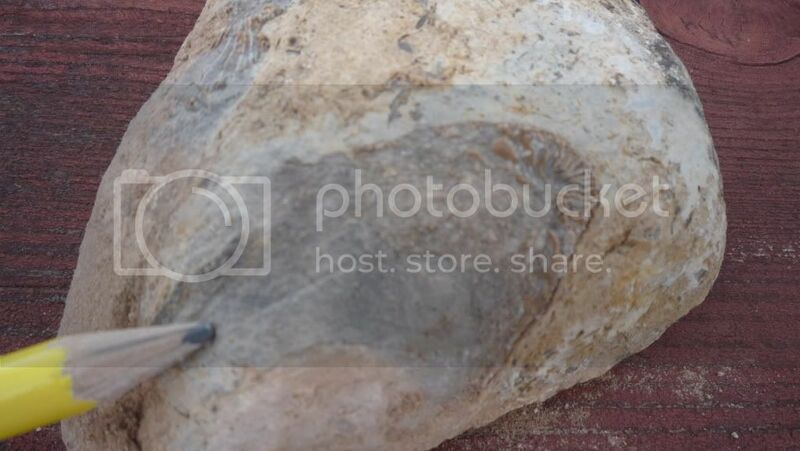 This is probably some sort of bivalve shell, yet the ends of it seem different than what I've seen before. Maybe I'm imagining that, as shells do seem to spread as they go toward the ends. 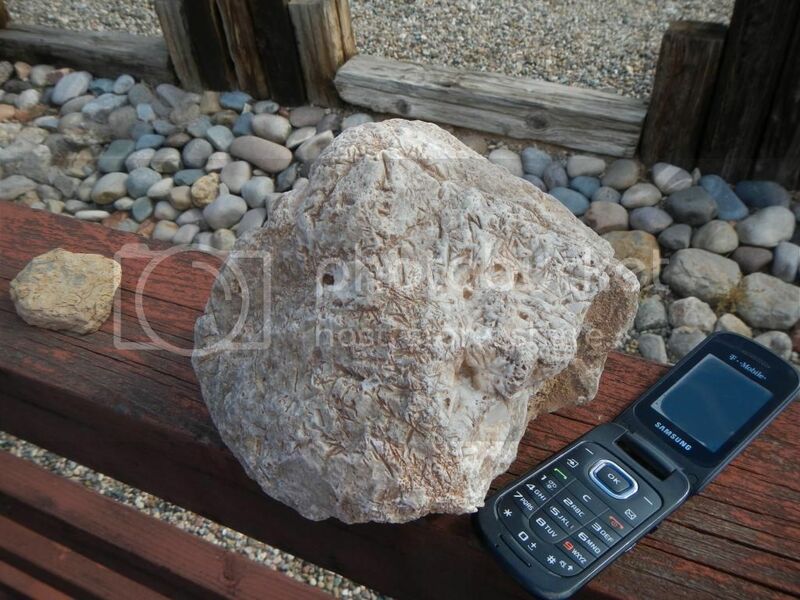 This rock is sedimentary, is about 15-20 pounds and has another shell trace in it that I'll post below. 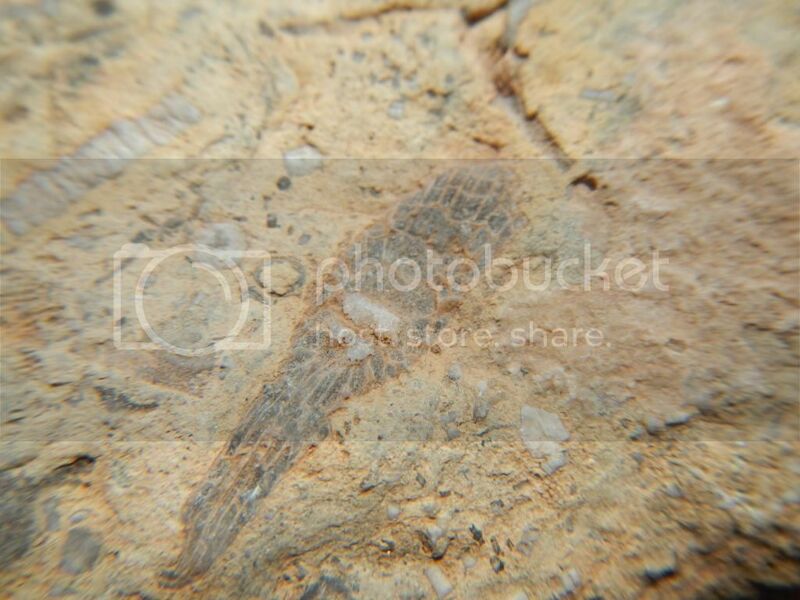 Finally, I always find a LOT of crinoids as you can see on this sedimentary rock. However, I keep finding this oval-shaped traces that I can't identify. 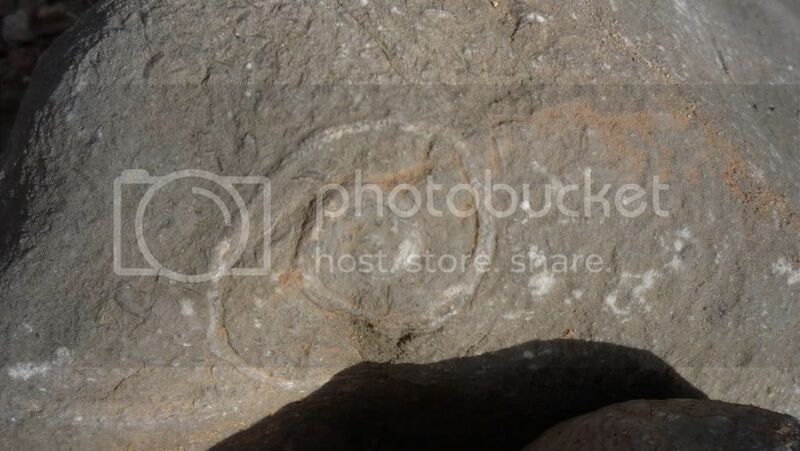 The 1st and 2nd pictures shows the crinoids, and the second on the same rock shows the oval shape. Can anyone identify the oval-shaped trace? 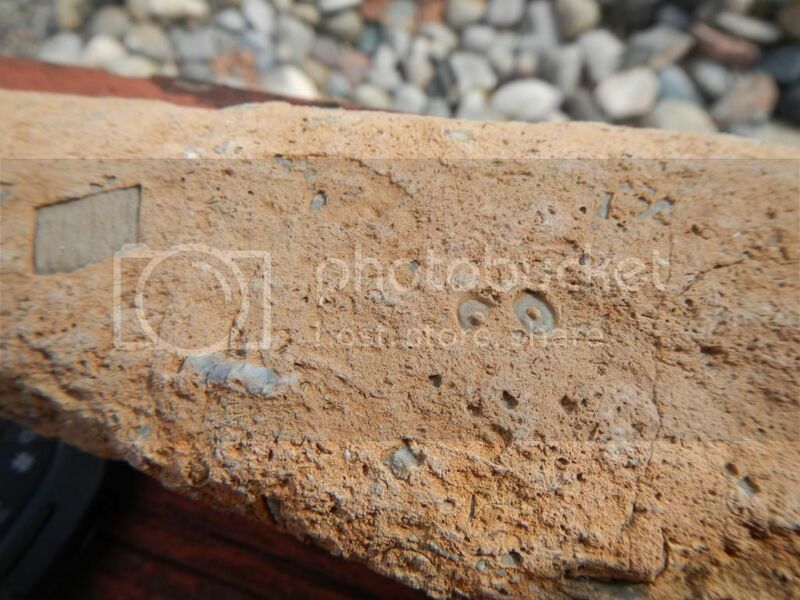 ....and the oval shape with a folded-type shape to the left of it, that I also keep finding. Very interesting stuff. 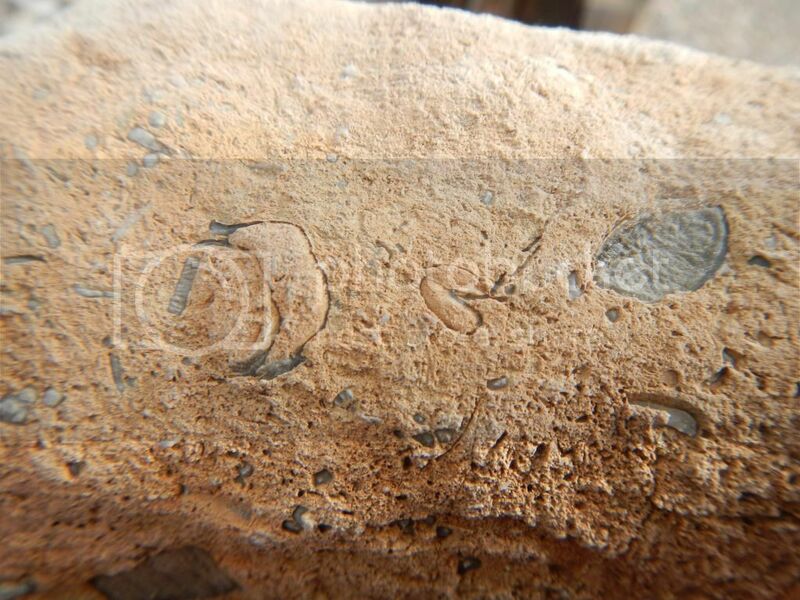 Do you have any information about the formation these were found in or at least the age of the strata in the area? I think most of it is Pennsylvanian Era, but the area is very geologically complex (slightly north of Albuquerque, NM and on the northern foothills of the Sandia Mountains). I'm still trying to positively identify a heavy boulder that I found last year and have in another thread. The 'folded over' shapes might be sections through brachiopods. 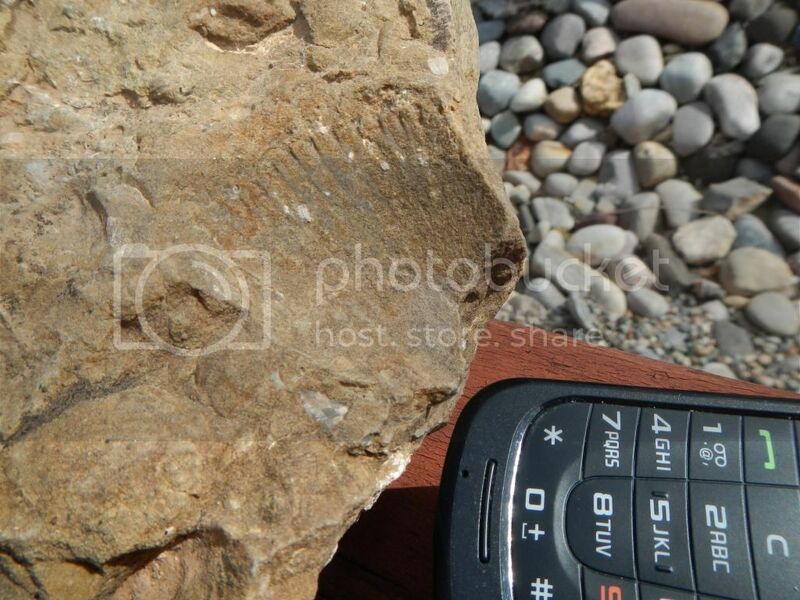 I also think the oval shapes could be brachiopods cross sectioned at different angles. Pic 1 and 2.... I'd have to assume it is another crystal unless some finer details could be made out. I'd say pics 5 and 6 indeed are a part of a bivalve. 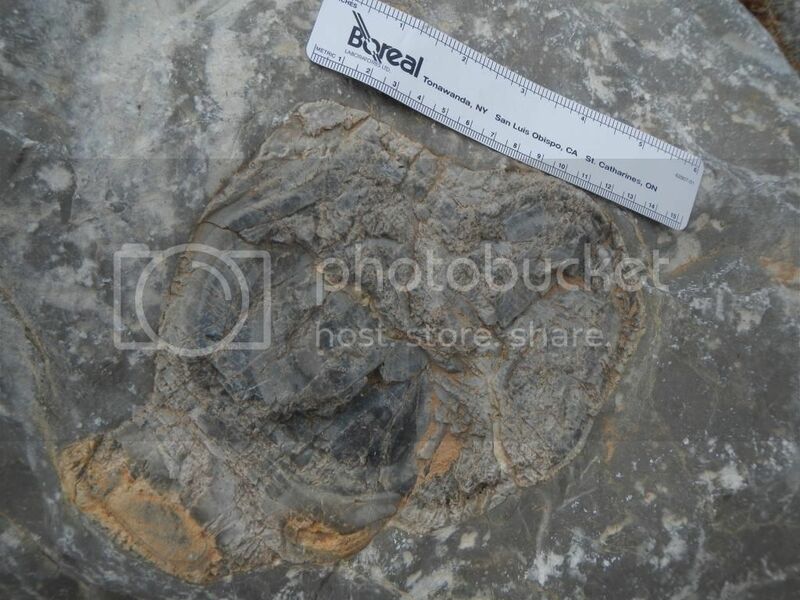 In the last pic, the crescent-shaped thing may be a productid brach, while the oval gray thing on the right resembles a cross section of the brachiopod Composita. Thank you for all the answers and angles to further research!! You guys and gals are GREAT! I'm going to try to get a better picture of what may be a fossil in the first one. I'm wondering if this might have been a nautilus at some point? 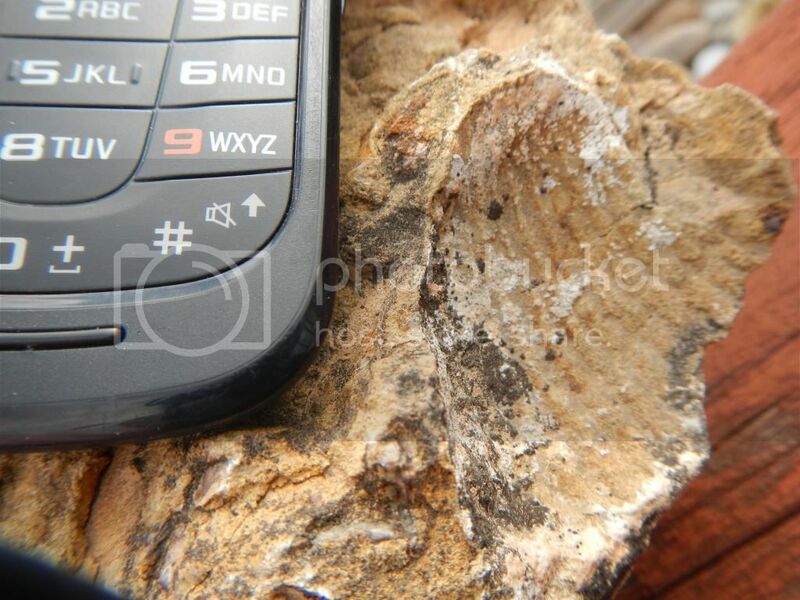 Your last pictures look like an ammonite. I guess that I have to look up the difference between an ammonite, gastropod, nautillus. I'm a bit confused about that. Thank you cynodictis. 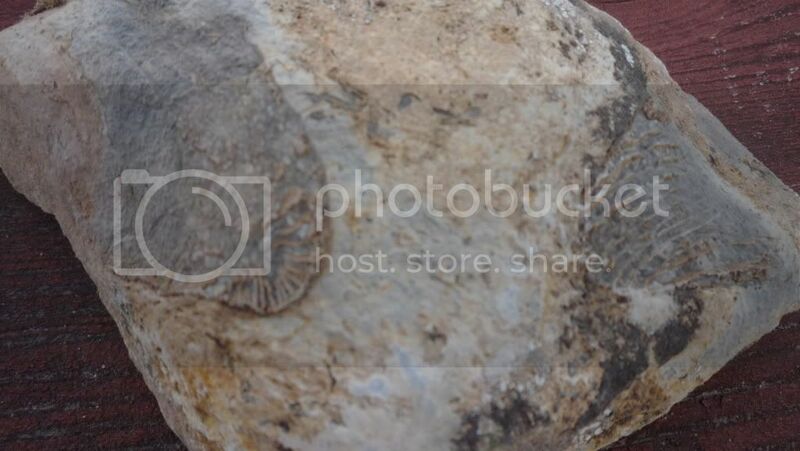 I'm wondering whether an ammonite can be worked out of the rock. It is certainly not a small one and I'm very inexperienced at "preparing" fossils. 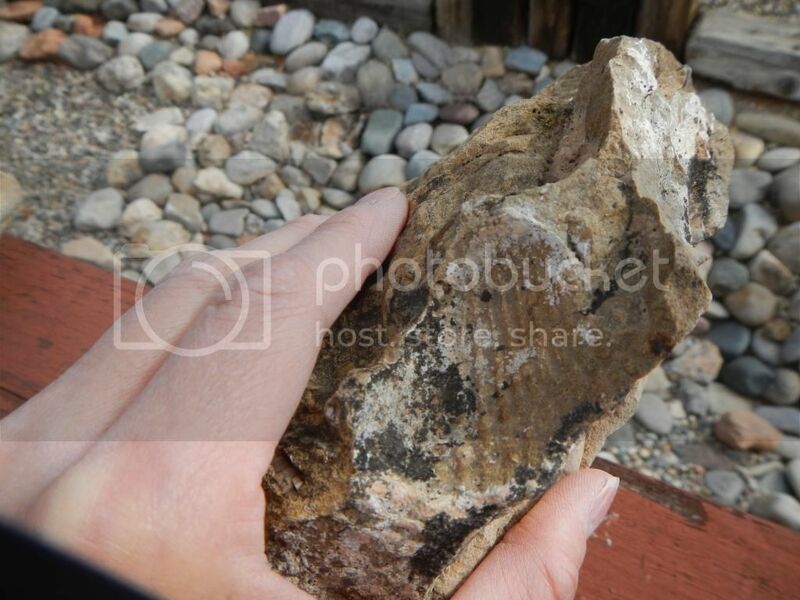 Tentaculites in the first picture? Why do you think that - back to the Internet. 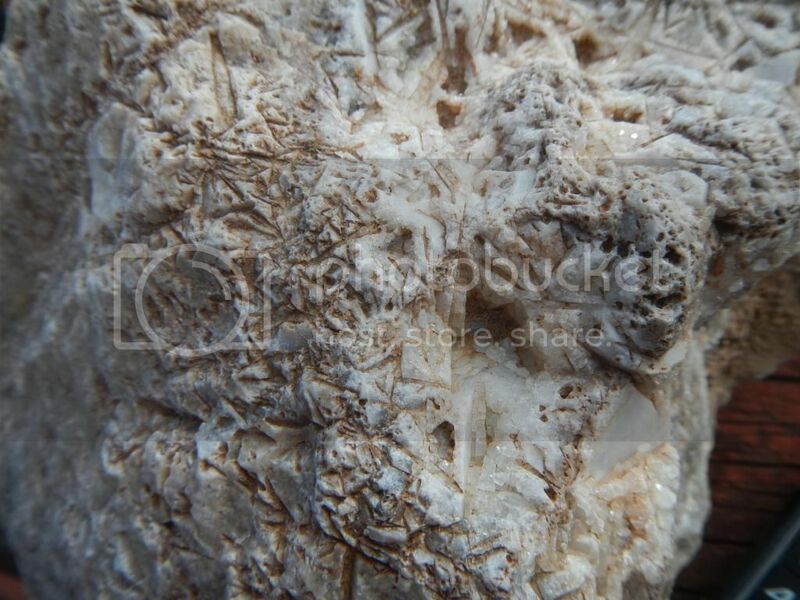 The ones I saw on the internet look a little like crinoids, except that they taper off. That's an interesting idea, though. It might be... . 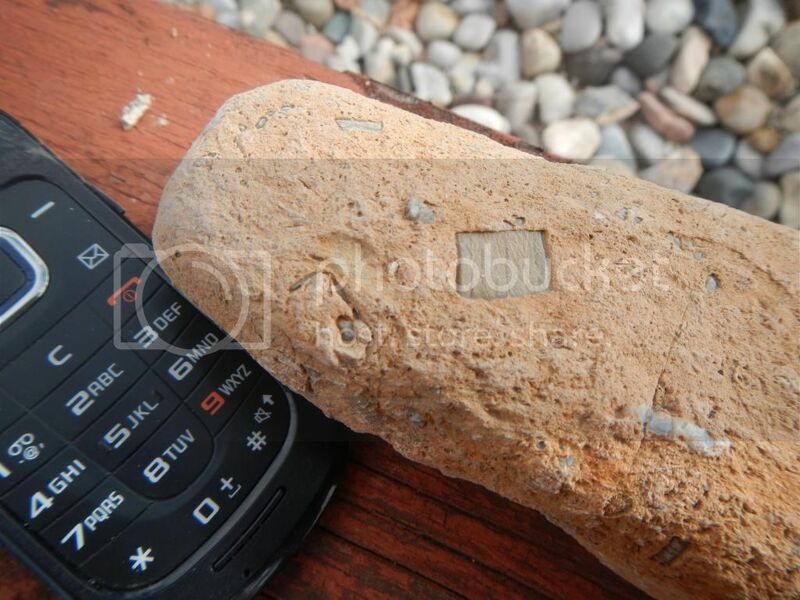 I have no clue what these fossils are. And I think that I may have broken this open about a thousand or million years too soon. The photos by the cell phone, labeled "no clue", are solitary rugose corals. The "nautilus" (also called an ammonite by some) is certainly a section through a snail (gastropod), as there is no evidence of internal division into chambers (called "camerae"). 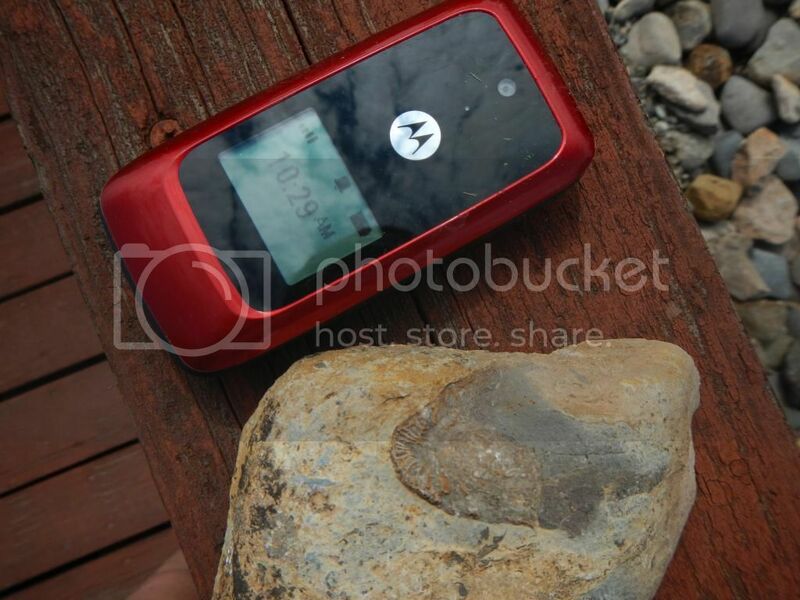 Also the "nautilus" in post #10 is a chert (flint) nodule. Overall, with the corals, crinoid stems, gastropods, and chert in massive limestone, I suspect you are looking at the Lake Valley Formation, which is Mississippian in age. 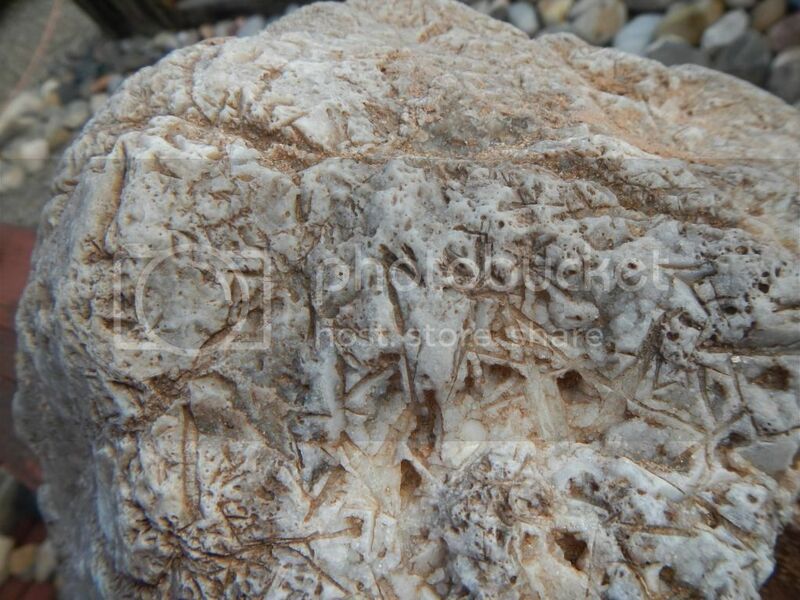 Some parts of the formation, such as the Nunn Member, are more shaley and have lots of fossils, including crinoid calicies, that weather out completely. 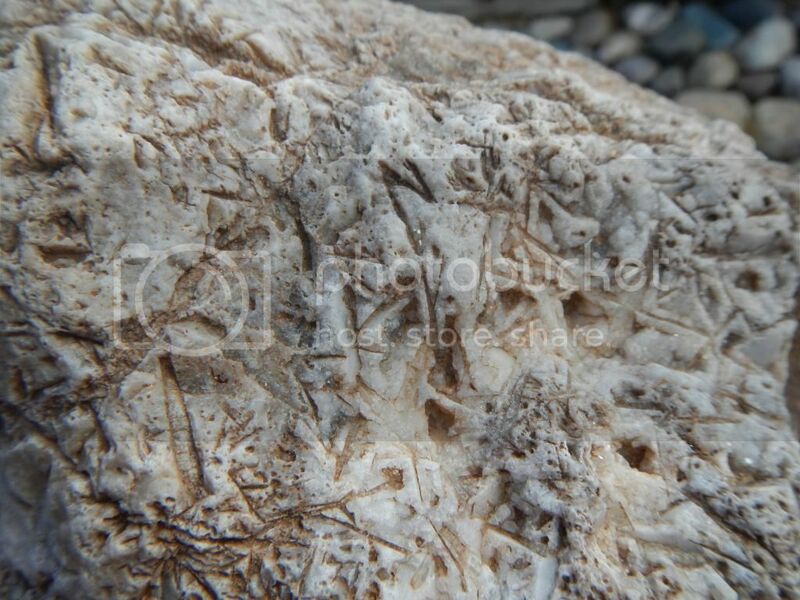 There is also Permian limestone in the area, but the fossils are different, mainly fusilinids. 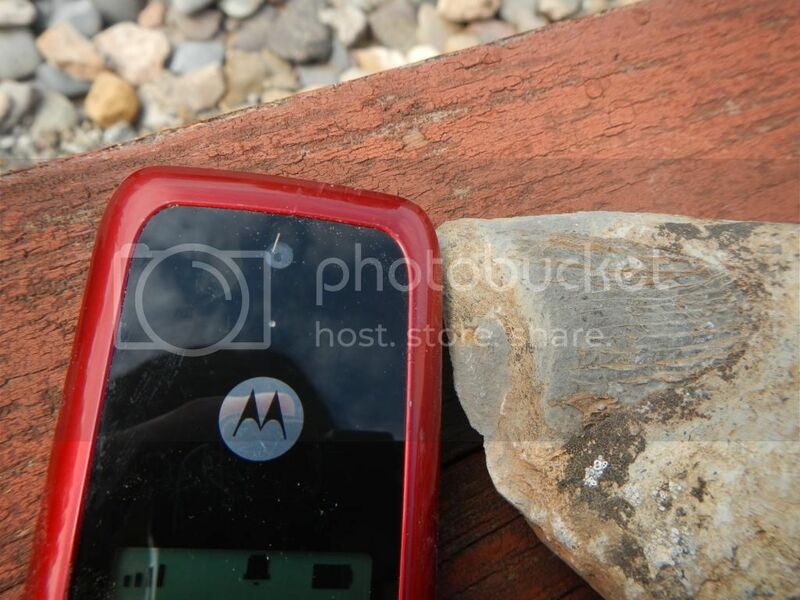 I don't see any fossils in the first photo, I think that is probably a cool mineral specimen. You live in an area with a lot of diversity in therms of ages and types of fossils to be found, once you start to learn the geology. I believe you are close to some Cambrian, and lots of Ordovician, Devonian, Mississippian, Pennsylvanian, Permian, and Cretaceous fossils. If you have not yet seen the book "Paleontology of New Mexico" by Barry Kues, I recommend picking up a copy or seeing if your library has one. You'll probably want a copy of your own though once you have a look at it. It may have just run out of the organic material needed to sustain diagenesis. Thank you. We do have that book and we've studied it. The problem - and the blessing, is the specific area where we live has one of the most diverse cross-sections of exposed ages that you can find in the State. A geologist at a local university told me she thought the area was Pennsylvanian - though she also thought the boulder I've been researching was caused from erosion. 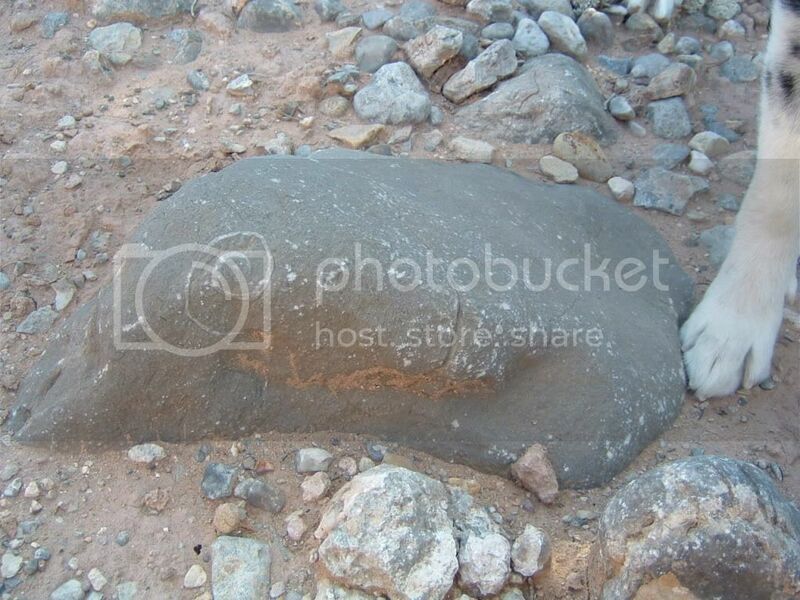 We are sure that boulder displays mostly organic features. 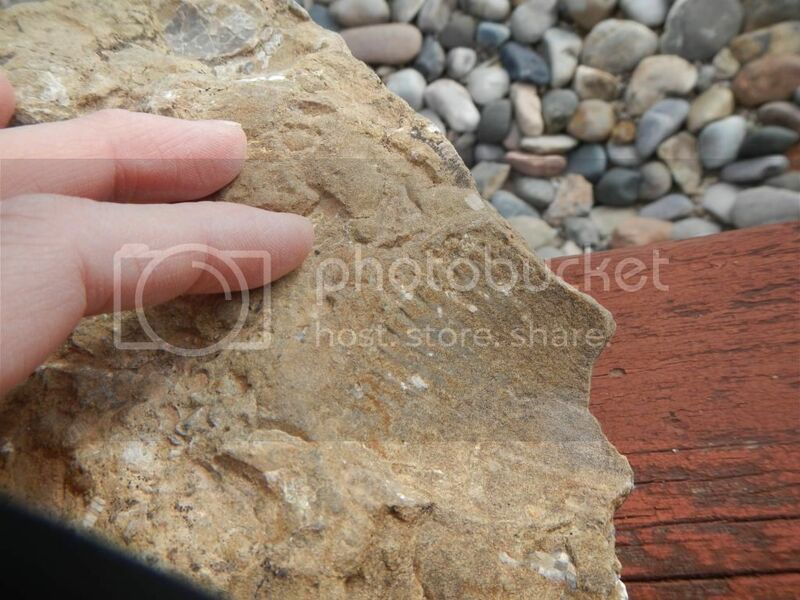 She also thought there was no chert in our area, and yet she agreed that what I discreetly brought in was chert. 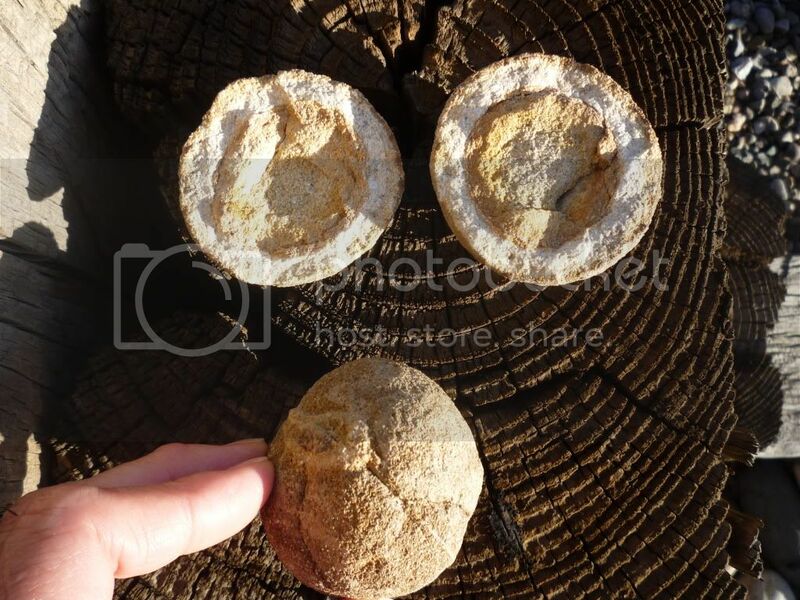 So she modified what she stated to say there were "chert nodules" in the area. It certainly isn't a simple area. And yet, that makes it all the more interesting! Thank you for your input. It is highly appreciated. ...and so far I've found 2 1/2 of these. I found 1/2 of one just yesterday. I sure wish they'd become crystals. Oh well. 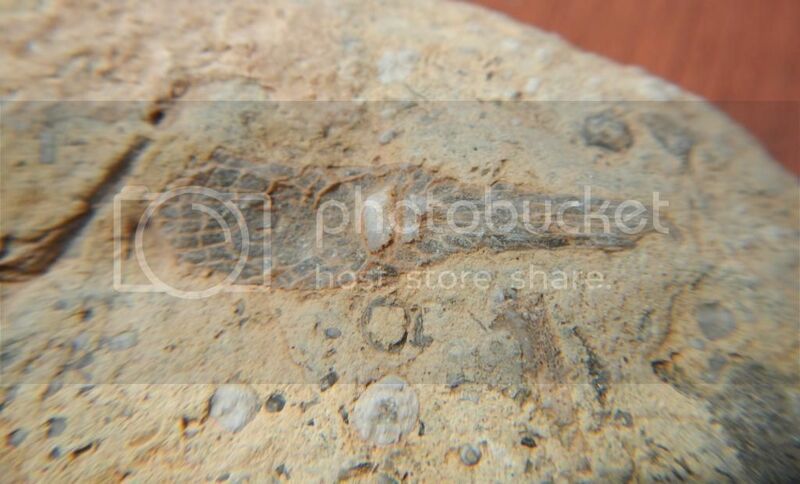 I'm guessing the main little dude is some kind of rugose coral - along with some scattered crinoids, etc., but I really have no idea as I can't find anything with that shape, and the center piece with lines radiating around it. It is a little more than an inch long. Anyone seen one of these before?